According to a study by the National Institute of Mental Help, more than 18% of American adults suffer from an anxiety disorder. Still, despite the fact that this is a widespread issue, many don’t seek help. In some cases, it’s because they don’t know where to get help. In other cases, they don’t know if their situation is serious enough. At Rancho Wellness, we believe that if you’re concerned about your anxiety, then it’s time to get help. It is a treatable condition and there are things we can do to help. Read on to learn five signs that may mean it’s time to come see us. Then call us at 909-483-7800 to make an appointment. We really can help you with your anxiety. If you notice that your health is starting to suffer, then it’s time to get help. Anxiety can cause or worse migraines, heart disease, asthma, and other physical conditions. The symptoms of anxiety can also give evidence to an underlying issue. For example, common symptoms of anxiety include dizziness, stomachache, and chest pains. If you’re experiencing these, then it’s important to get assurance from a medical professional that you’re okay. It can feel impossible to handle work while you’re experiencing anxiety. If you’re missing days from work, show up late, or can’t seem to perform the tasks you’re required to do, then it’s time to reach out to a wellness center who can help you. Do you have friends, family, or loved ones who have told you they’re worried about you? Anxiety can have a negative impact on relationships in a range of ways. 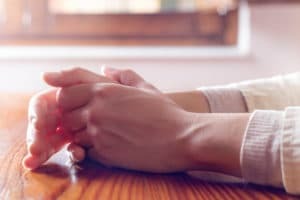 For example, a person with anxiety can worry that their partner is cheating on them, they may avoid their friends or families if they don’t want to go to social events, and they may have trouble communicating. Do you find that you’re drinking alcohol more often than you did before you were experiencing anxiety? Are you using drugs? The reality is that people with drug addictions are twice as likely to have an anxiety disorder. The same is true of drinking – many people who drink to excess are doing so to medicate their anxiety disorder. Do you find it difficult to enjoy life? Are you missing activities you used to enjoy? Do you feel trapped, isolated, or alone? Are you scared a lot of the time? While this may have become the norm for you, it’s not the only way. We can help you. At Rancho Wellness we are passionate about helping each of our clients find their balance. We can help you get to the bottom of your anxiety and can provide solutions that actually work. It’s not your fault that you experience anxiety. You haven’t done anything wrong – but there is something you can do. Call us today at 909-483-7800 to make an appointment.